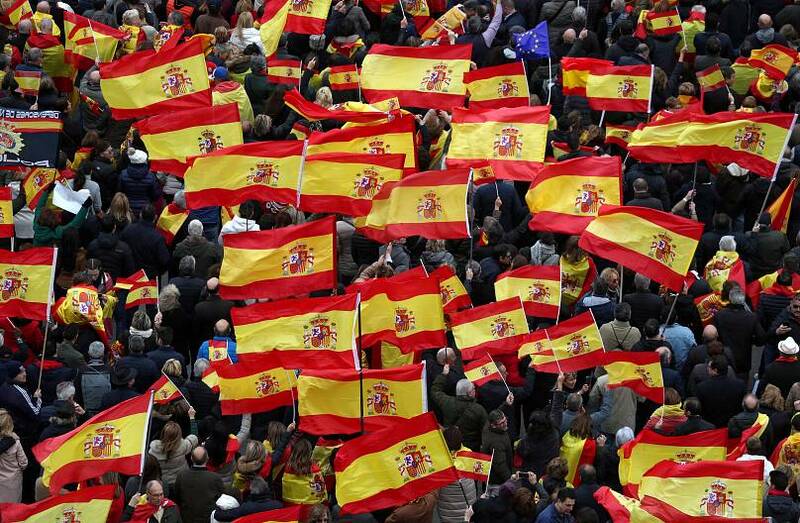 A trial is underway in Spain unlike any other it has seen in its four decades of democracy. Twelve separatist Catalan leaders appeared in Spain's Supreme Court in Madrid on Tuesday, facing charges including rebellion and misuse of public funds. All eyes are on the trial, which is being broadcast live on television. 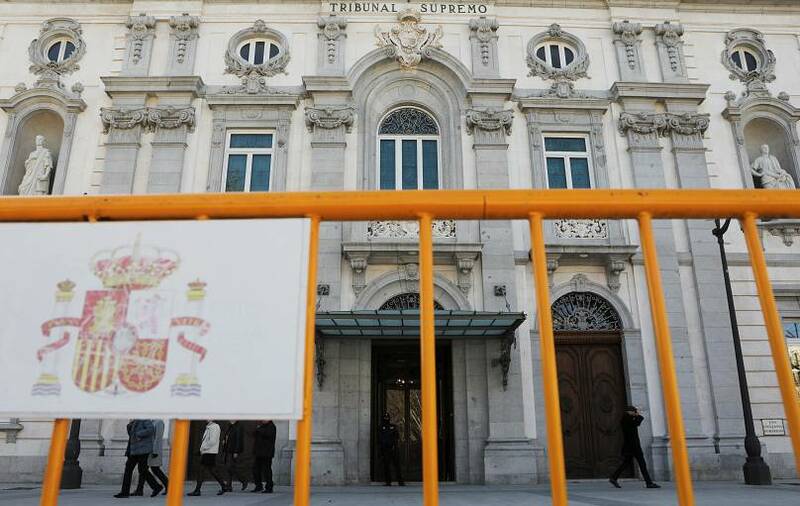 Separatists have called out the court's credibility, arguing it acts as the puppet of the Spanish government and that any ruling will most likely be set by the political agenda. What led to the trial? Tensions between Madrid and Barcelona have built up in recent years. Catalonia, one of the wealthiest regions in Spain, called for independence because it deemed it received an unfair redistribution of taxes from the central government. The region defied a judicial ban by carrying out a referendum in October 2017 and unilaterally declaring independence. In retaliation, Madrid said the result of the vote was null and void. On the day of the referendum, the international community was shocked by the violence the Spanish national police, sent by the government to monitor the vote, used on people casting their ballot. Madrid later dissolved the Catalan government and imposed direct rule on the region, which lasted seven months. Some of the separatist leaders were later arrested and others like former Catalan leader Carles Puigdemont fled Spain. Who is on trial and what charges could they face? Spanish authorities indicted 20 Catalan secessionists in 2017 for their role in the independence bid but several of them, including the former leader Carles Puigdemont, remain in self-imposed exile. They have therefore avoided extradition attempts to force them to go to trial. But 12 defendants appeared before the court and faced seven judges on Tuesday. They could be sentenced to up to 25 years in prison for misuse of public funds and sedition. 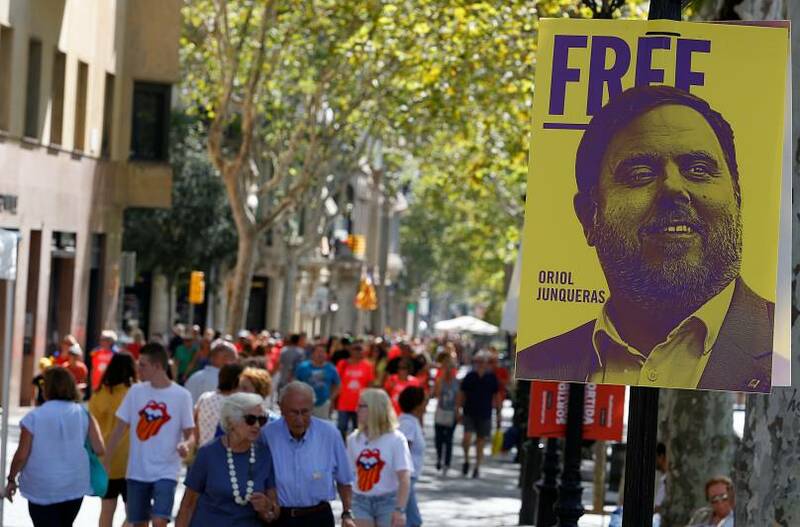 The most prominent of the accused is Oriol Junqueras, the former deputy leader of Catalonia and head of Esquerra Republicana. More than 500 witnesses including former Prime Minister Mariano Rajoy, Catalan and central government officials, police officers and ordinary citizens will testify in court. Supreme Court president Carlos Lesmes said there is no time limit for the trial, adding it could last about three months. The verdicts are unlikely to be made before June, he said. Nine of the defendants have already been in prison for more than a year after they were denied bail. 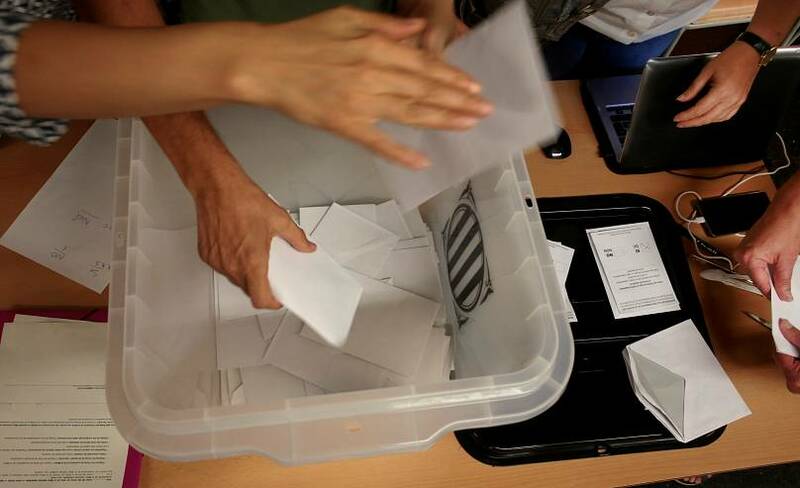 Other trials linked to the referendum are also taking place across Catalonia and Madrid. Spanish police officers accused of using violence to prevent people from voting are awaiting trial and the former Catalan regional police chief is also facing sedition charges. Will the leaders face a fair trial? 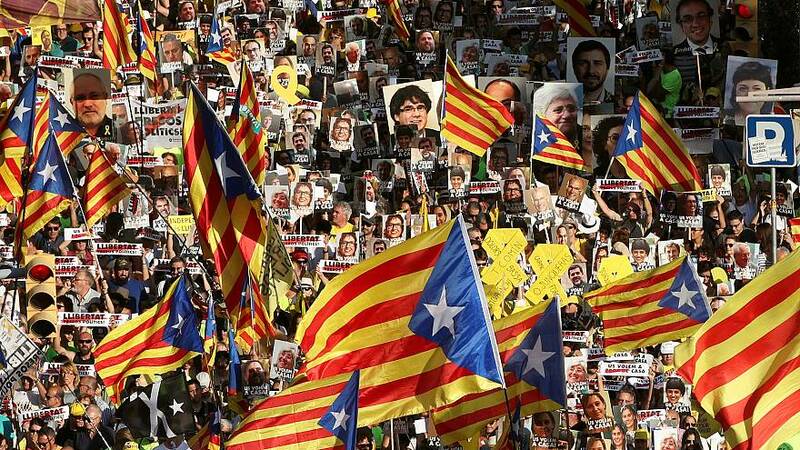 Some Catalan separatists believe the sentences have already been written before the trial began and accused Spain's courts of being heavily influenced by politicians. "There are many suspicions by Catalans, politicians, and international observers that politicians will influence the final verdict of the tribunal," Robert Sabata i Gripekoven, the spokesperson for International Trial Watch (ITW), a platform for human rights organisations told Euronews. Sabata said that the seven judges do have a lot of experience but the test will be if they can "distance themselves from the political climate". However, Sabata warned that it was a "worrying sign" that not all international observers were allowed into the courtroom. The Supreme Court said that since the event was being televised live, there was no need for the observers to be present. But for Sabata, watching it on screen was not the same as being there to observe. In the European Commission's justice scoreboard, Spain ranked 28th behind Hungary and Poland due to the public perception of the independence of the courts and judges. Recent controversy hasn't helped the allegation. In November, conservative senator Ignacio Cosido sent a WhatsApp message welcoming the promotion of Manuel Marchena, a judge who was appointed for the separatists' trial and who is seen as close to the conservatives. Marchena left the position following the scandal. “It’s the most important trial we have had in democracy,” Lesmes told reporters on February 1, referring to the return to democracy in Spain after dictator Francisco Franco’s death in 1975. If the 12 defendants are found guilty they could appeal to the Constitutional Court and then the European Court of Human Rights in Strasbourg. How has the trial affected Spanish politics? Since Prime Minister Pedro Sanchez was elected in June 2018, he has tried to renew dialogue with the Catalan separatists. However, he is facing pressure from the conservative parties who accuse him of making unwarranted concessions to the Catalans. Sanchez's socialist party holds a minority in parliament and depends on the support from the Catalan and smaller parties. On Sunday, tens of thousands of right-wing protesters gathered in Madrid to demonstrate against Sanchez's approach to the Catalan crisis and demanded he called a general election.